For years, I have been known for my love of Monster energy drinks. By no means addicted, I would indulge in one can a day in the morning the way some people enjoy their cups of coffee. On the rare days when I didn’t have one, I suffered from headaches and drowsiness. One night, I even suffered the worst migraine of my life when I hadn’t had any caffeine that day. That’s when I knew it was time to give them up. Granted, that was three years ago and I just couldn’t bring myself to part with my daily fix. I enjoyed not just the jolt these drinks gave me, but how effortlessly they fit into my routine. 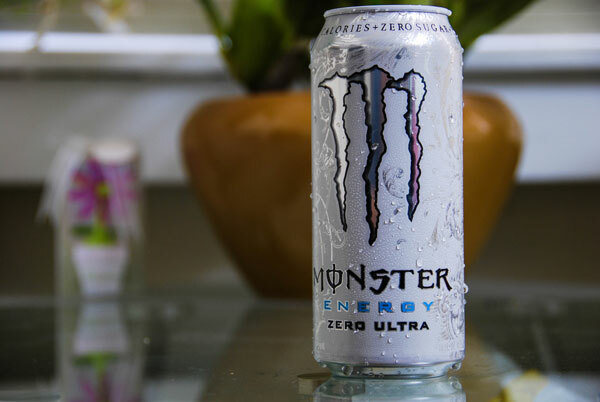 It was simple: wake up, get ready, grab Monster as I walk out the door, and open when I reach the bottom of the hill, plunging my straw into the bubbly and caffeinated goodness. It was just what I did and a part of my life, the way some people go for a morning run or check the mail on the way home. Over the years I have gotten teased for my daily beverage of choice. The coffee fans thought I should grow up and grab a java. The soda fans wondered how I could drink something so strong. My dentist warned that excessive drinking could harm the enamel on my teeth. I took all of these theories and opinions in with a grain of salt. It was my life and who is to tell me what I should and should not drink. The folks who guzzled coffee and soda throughout the day were much more caffeinated than I was and I could still drink a full Monster and go right back to sleep. Granted, that might be due to the fact that I can literally sleep anywhere. I never felt addicted to my beverage of choice, but I couldn’t help worry about how my teeth would deal with the high levels of citric acid on a daily basis. I knew that I didn’t want to rely on these drinks—or any drinks for that matter—to get me through my day. And I certainly didn’t want to rely on these beverages as I approached my 30’s. As of Memorial Day (May 26, 2014), I have been Monster-free for fifteen days. I’ll admit, the first few days weren’t the easiest. I suffered from headaches and felt very foggy as though my brain were shrouded in misty clouds, but I pushed through. I supplemented my morning drink with some green tea and it seemed to help. Though I didn’t drink the tea every day, the days that I did helped me to transition from daily drink to no drink. Eventually, the fog cleared and my energy level returned. I could wake up early without my liquid crutch. As it turns out, quittin’ was pretty easy. As someone into fitness I would never drink any of those kinds of drinks or recommend them to anybody. basically they are all chemicals, sugar, caffeine, and other bad stuff. Good for you giving them up. Try other drinks like teas, crystal light, herbals, etc. I gave up diet colas in 2007, cold turkey!!! Good For You 🙂 I had a soda problem a few years back where I would have at least 1 if not 3 a day. The one area that really hit home for me in giving that habit up was when my teeth health improved immensely. Wishing You the Best – Good Luck! Way to go, that is awesome! Three cheers for your commitment! My boyfriend is addicted to Monster and I try to get him to quit daily. I have a tall glass of unsweetened iced green tea every morning. I enjoy the flavor and the supposed health benefits. If I have to miss a day, I’m not dragging or headachy because I usually drink decaffeinated, I’ve never developed an “addiction” (for lack of a better word) for anything. There is not one thing that I can’t go without (except water and air obviously). How’s the house hunt going? Haha! I thought about having one yesterday to fuel the long day of moving, but I didn’t. Staying strong! I’m really liking green tea. I don’t have it every day, but when I do, I enjoy it. And you’ve got to love a delicious beverage with health benefits. It’s a win-win. 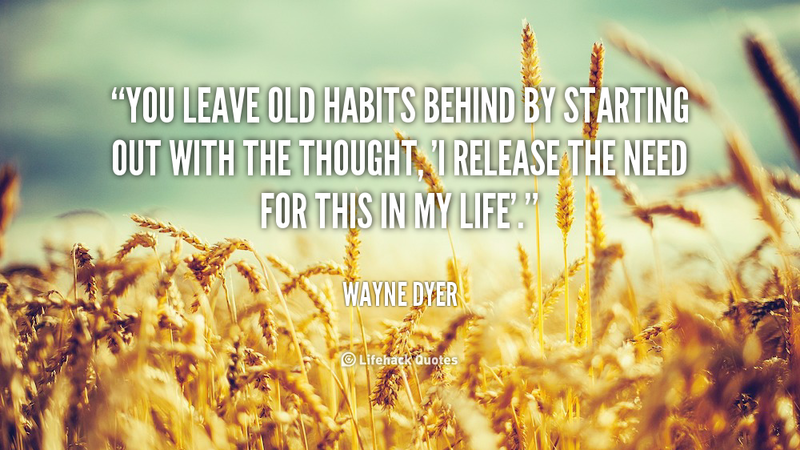 Your year of healthy habits is inspiring me! Way to go!